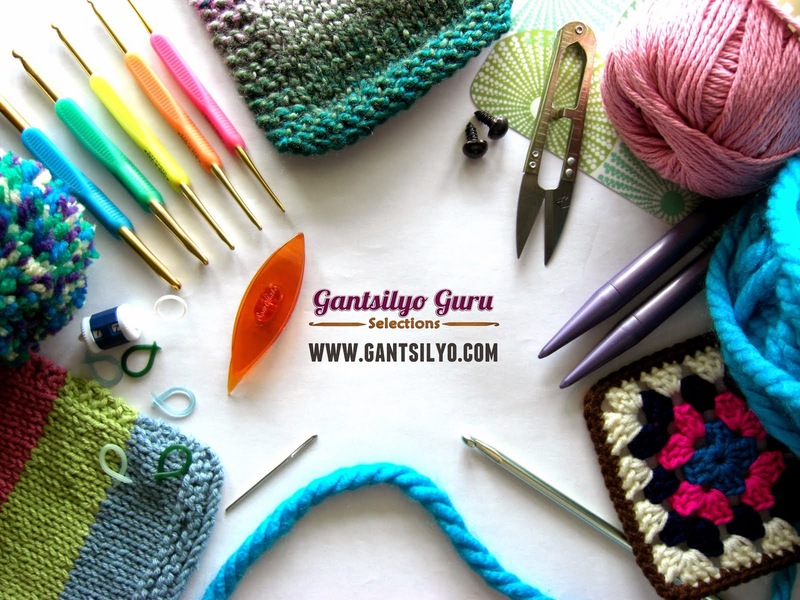 Gantsilyo Guru: Hooray! I have a Color Card! I've been working on a lot of color combinations lately for an upcoming project (sooo excited to share it with you guys once it's done...let's just say it will take a ton of patience and time for me to finish it). I have used 50 different-colored yarns so far to make 20 sets of color combinations. Each set is composed of 5 different colors. Phew. That's a lot of color. 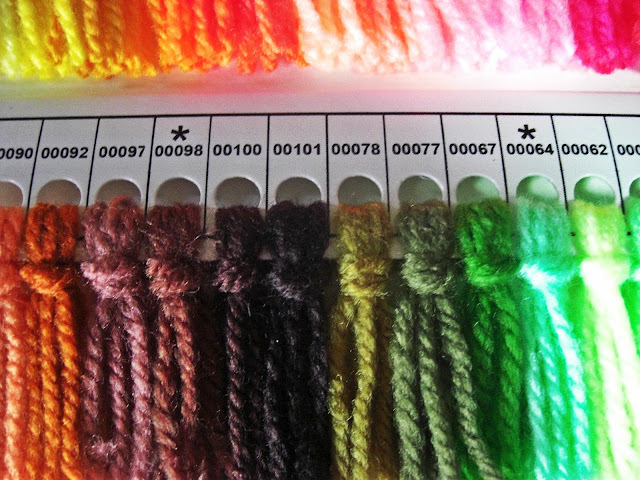 Unfortunately, when I bought my yarns, I threw away the labels so I wasn't able to list down the right shade numbers that correspond to each color. Having a list of the shade numbers allows me to have an inventory of the required colors for the combinations I made. 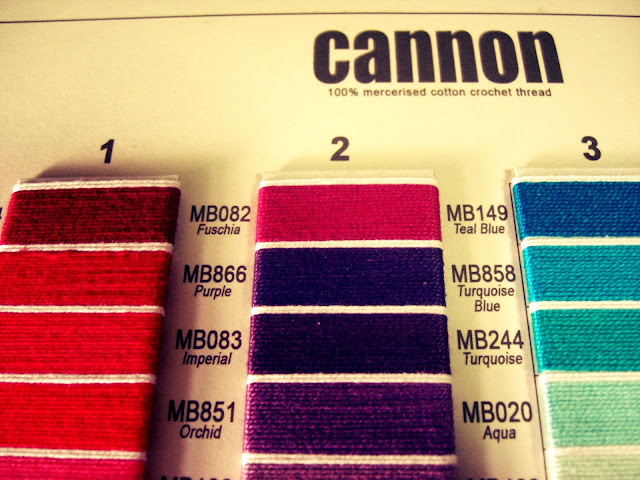 This is useful when I need to buy the exact same-colored yarns. 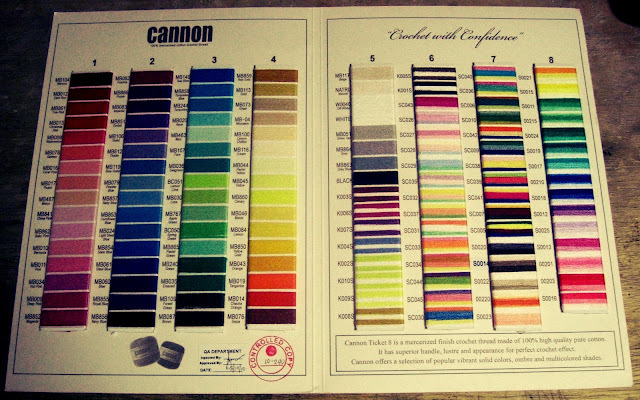 This also assures consistency among colors for a project. 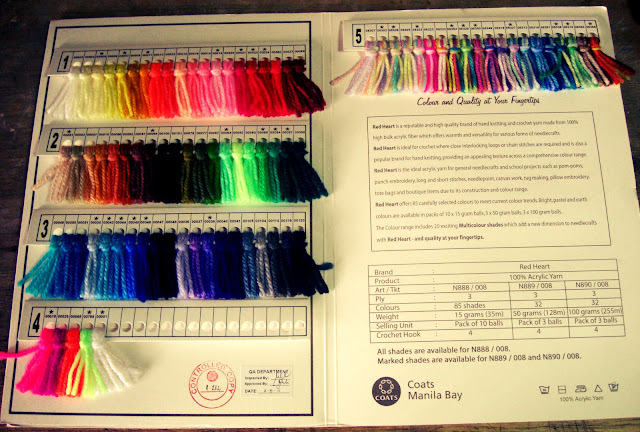 And look, there's more for their acrylic yarns! Yum. Come to think of it, I could have done something like this on my own with just some board paper and puncher - had I not thrown my labels of course. I would love to get one of those.. Did you request for one from Coats Manila Bay? 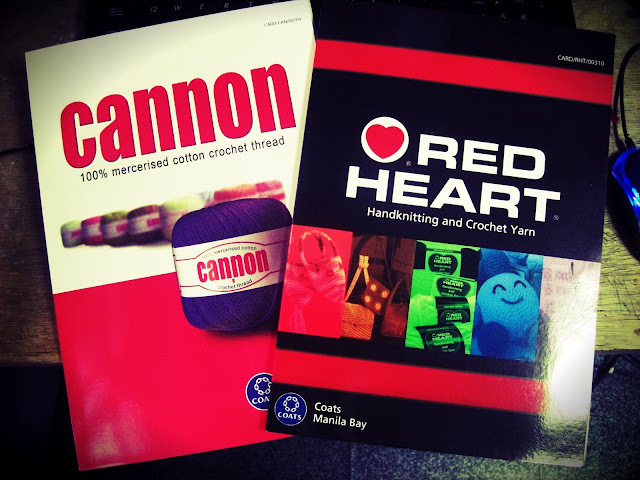 Love your blog btw, especially the yarn stores posts - saved me the trouble of buying overseas. Thanks! Hi! Thanks for checking my blog! 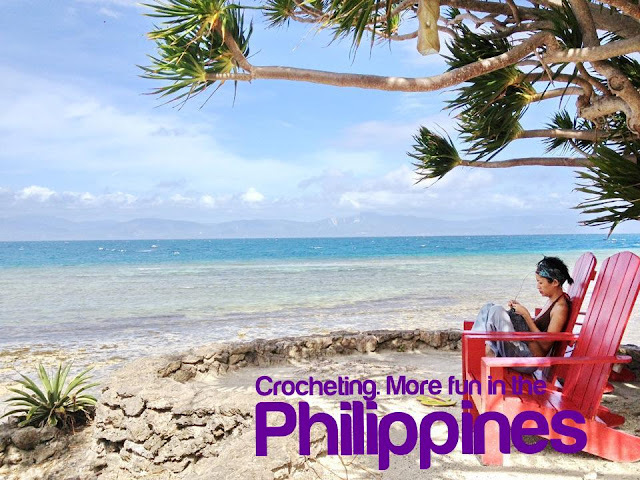 Please follow it as well by registering on the link :) Yeah, yarns overseas are uber expensive so there's a need to source local yarns. Yep, I just requested it from them thru email.